Did You Give or Receive on Tuesday? 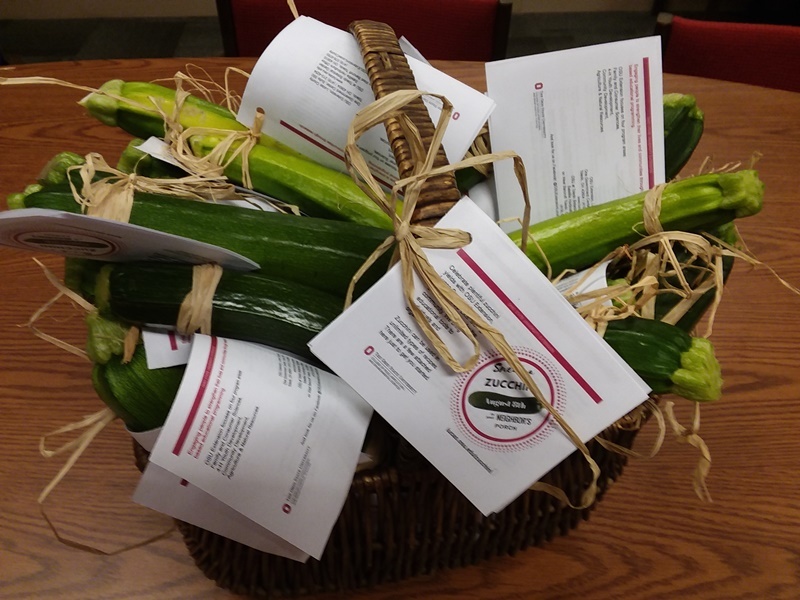 Did you know that Tuesday, August 8th was "Sneak A Zucchini on Your Neighbor's Front Porch Day"? Did you sneak, or did you get snuck upon? Didn't participate this year? Be sure it is on the calendar for 2018! While this is a fun thing to do, it is important to remember if you have excess fruits and vegetables this time of the year, it is a great opportunity to share your bountiful harvest with others. A simple sharing can occur neighbor-to-neighbor, among friends and family members, or excess produce can be donated food banks, kitchens or pantries. Different communities will have different options. Don't have a garden, or it is limited in it size? Check locally to see if there are any gleaning projects in your area. Gleaning is a concept where once a producer harvests what they need or desire from the field, groups of people can come in and harvest what remains with the approval of the farmer. The "leftovers" would normally go to waste if it wasn't for these gleaning groups. So if you grow, don't forget to share! Even if you have to sneak it on someone's porch!